The state of Colorado is known for its 54 peaks that top 14,000 feet in elevation, so it is safe to say that golf balls struck in the thin air of the nation's most elevated state will fly farther than they will on your home course, unless you are a Colorado resident. 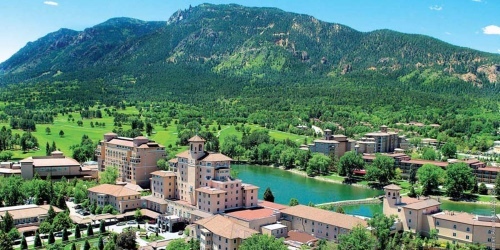 And only Colorado residents are likely to know that the state is home to ... wait for it ... 10 golf trails. The trails are all promoted via one website, and the packaged stay-and-play deals are outstanding. Only in Colorado can you play the highest course in the country, at 9,680 feet and a course with seven and a half miles of shoreline. 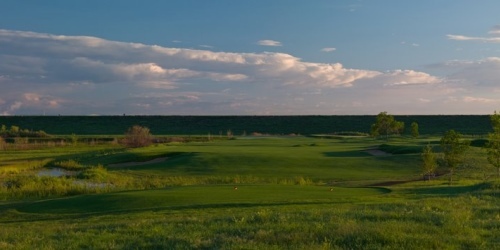 303-973-9614 Public Robert Trent Jones, Jr.
970-845-5775 Resort Robert Trent Jones, Sr.
Watch the Red Sky Golf Club Video.